Peng-Peng Art: no pants, wondy! Warning: Ranting Ahead! i totally respect if u don't care to hear me rant so feel free to skip this post. =) i'll go back to drawing pretty things, i promise. allow me a moment to rant here, if i may. sometimes i just need an outlet. 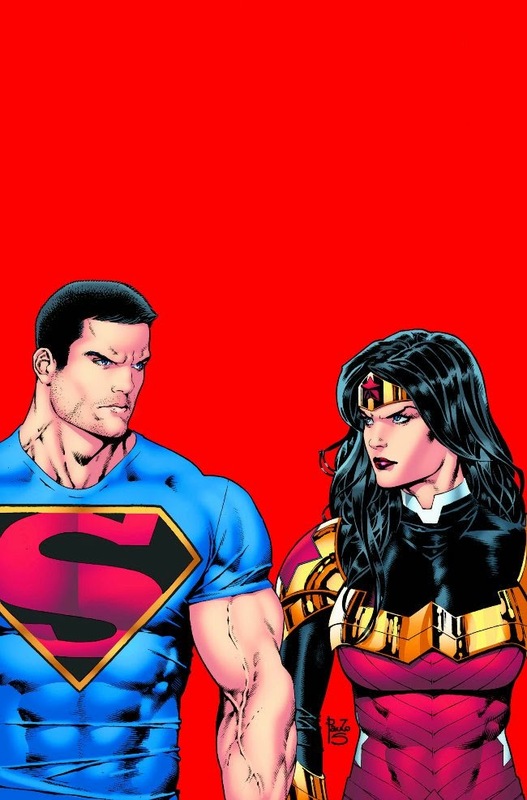 DC looooves to redesign their superheroes' outfits, and i'm all about a good wardrobe change. but what's NOT cool is that they keep redesigning, not for the good of the character or story, but cuz they just CAN. u may or may not know, but i loves me some Wonder Woman. she's my favorite lady ever! but i have never ever been a fan of her in pants. like never. u'd think i'd be all about it cuz a lot of ladies are anti- her classic look (the swimsuit, as some refer to it). but nope! i feel like Wondy is more of a F*CK PANTS kinda lady. i see her & her Amazonian sisters like those nekkid Spartans. pants are for the weak and afraid. and she is neither of those things. i'd like to think she really only puts on clothes for our sakes cuz it would be very uneasy to have a diplomat flying around buckit-neckit! i've seen some really good redesigns on her outfit over the years. but i cant get down with the whole pants thing. 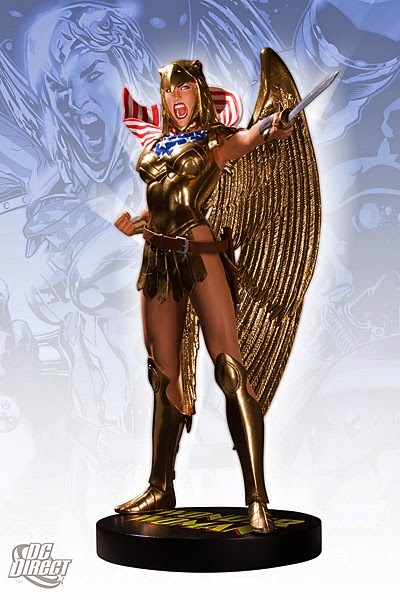 my favorite look, aside from classic, has to be Alex Ross's "Kingdom Come" golden battle suit Wonder Woman. it serves a purpose, it makes sense for her character, AND she clearly looks like the leader of a badass army. oh, also, NO PANTS! plus, to top it all off, this new outfit is like a 12-piece suit! ain't nobody got time for that! it looks like the design of a dude that wants to mash everything he thinks looks cool, but throws the actual idea of "good design" to the winds. u want good design, look at Spider-Gwen. she's got a one-piece suit w/ a hood and a mask. that's it! clean lines, great sillouhette, simple. no extra frills or armor chunks. and she's not even kinda Amazonian. she's just a chick. i'd even caution her to wear some knee pads, but that's her knee caps, not mine so whatevs. now, to this so-called SUPERMAN. 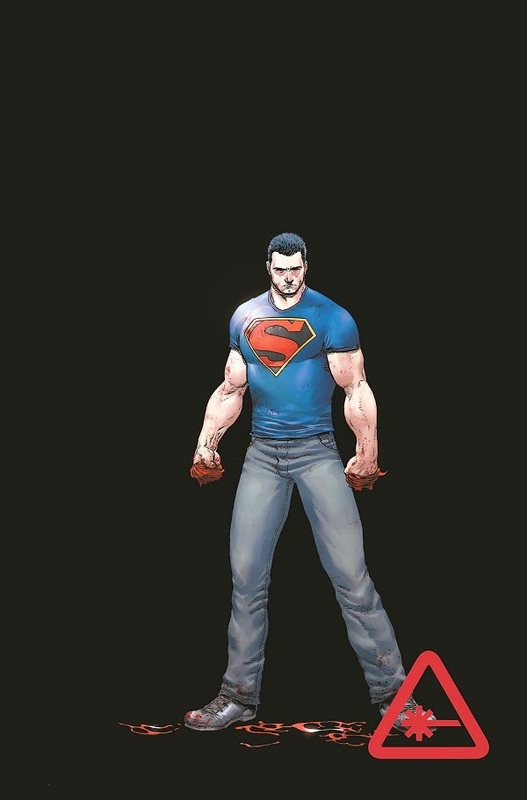 first of all, i can NOT call a Superman tee & jeans a "supersuit" or "costume." it's not a costume when i wear it to IHOP! i'm not cosplaying when i wear it to Target! how am i supposed to feel inspired by a hard-faced dude with a buzz cut in tshirt & jeans? even military officers or bosses of corporations don't dress this way. he looks like just some dude who spends far too much time in the gym. his shirt is SOOOOO tight! (see first image with the bright red background.) i really shouldn't be able to see ur bellybutton thru ur shirt. u know who wears shirts that tight & flexes all his muscles like that thru his shirt? THIS GUY! is that Superman?? really?? ur tellin me Martian Manhunter's just gonna let this dude into the Watchtower dressed like that?? EXCUSE ME, Superman, there's a dress code for us extraordinary beings of high ranking. Bill Gates don't wear that when he goes to work. Generals in the military don't wear that to work. i bet even Dan Didio or Jim Lee don't dress like that when they go to important meetings. first it was fingerless gloves, and now we're back to tshirt & jeans?? have some self-respect! now he's just a douchebag who wears his own merch! i don't think even Tony Stark would wear an Iron Man tee, and he's quite douchey. i haven't really picked up much DC comics titles lately cuz they're just toooo serious for me. the art is too serious, the stories are too serious, they're just not fun anymore. and when they DO make it fun, it's always extremely geared towards little kids. can't my supers smile anymore? but DC does what DC does. i guess i should be somewhat happy that they even care enough to bring great new titles that aren't heavily man-centric like Batgirl and Gotham Academy. 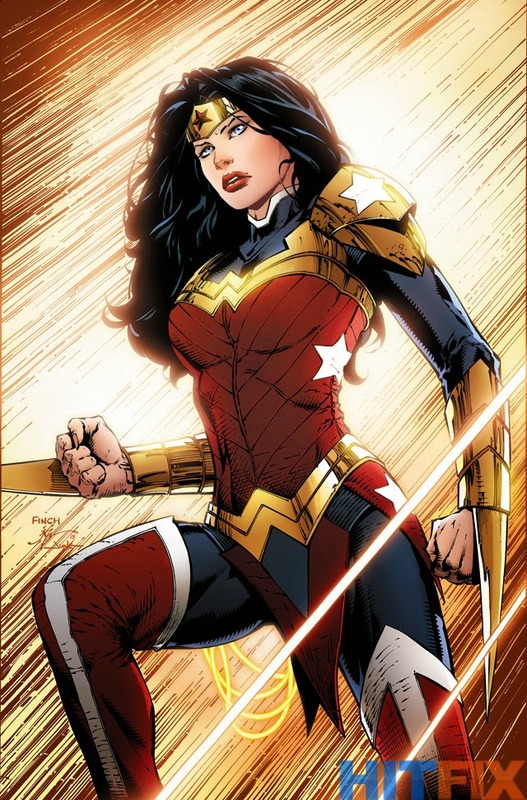 but for the love of all that is great, please oh please stop putting Wonder Woman in pants!! F*CK PANTS!!! Not to patronize you but I totally AGREE with you 200%!